SHADOW’S PROLOGUE pays tribute to adidas Originals ‘Celebrates Stripes’, which saw adidas cleverly interpreting the trademark classic stripe in an abstract and sophisticated way. Sublime. 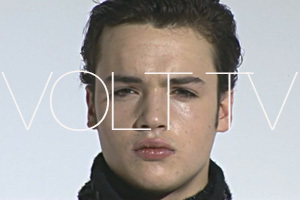 The actual shoot appears in VOLT 06. Photographer Haifa Wøhlers Olsen. Stylist Fashion Director Cynthia Lawrence-John. Model Mathilde @ NEXT Models. Tick tock, tick tock... Model Alfie, dressed head to toe in Kim Choong-Wilkins, reminds us the time is always now.